Every year, numerous pieces of legislation are introduced in the Georgia General Assembly that can potentially impact you, your profession or your clients. CPA Day at the Gold Dome is your chance to develop key relationships within the state general assembly by sharing your thoughts and perspectives on important issues facing the accounting profession. Help your state legislators understand the issues facing CPAs in the state of Georgia! The time has come to advocate for your profession by meeting your elected representatives and informing them of the valuable role CPAs play in their local communities as well as within the business community of Georgia. 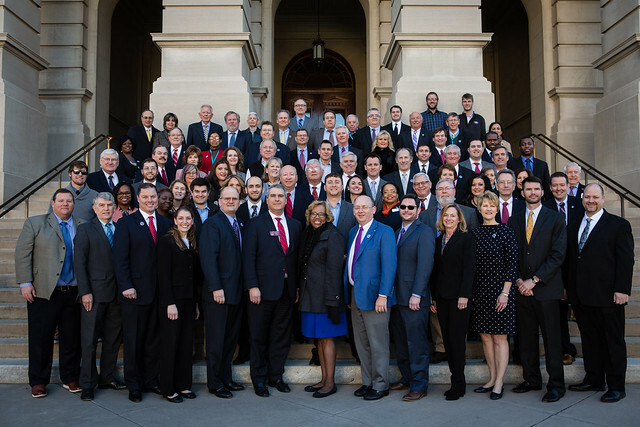 “The Georgia Society of CPAs launched CPA Day at the Gold Dome because CPAs offer a unique and intelligent perspective, and events like this make a very real connection between the profession and Georgia's legislators.